Chelsie Giles (-52kg), Amy Livesey (-63kg), Jemima Yeats-Brown (-78kg), Danny Williams (-73kg), Stuart McWatt (-81kg), Max Stewart (-90kg) and Wesley Greenidge (+90kg) have been added to the team that will take to the mat in Baku. Giles, Yeats-Brown, McWatt and Greenidge will be making their World Judo Championships debut in Baku. Giles has had a good 2018, winning her first two Grand Prix medals with silver in Antalya followed by bronze in Budapest. On both occasions the Coventry judoka has beaten players ranked inside the world top twenty. Yeats-Brown has recently moved up to -78kg but has already picked up some strong results including bronze at the Saarbrucken Senior European Cup and fifth at the Budapest Grand Prix. In the latter competition the Kent fighter beat former world champion and then WRL 6 Marhinde Verkerk (NED). Garioch judoka McWatt made his European Championship debut in Tel Aviv this year. The 21 year old has picked up some good results in 2018 including seventh place finishes at the Dusseldorf Grand Slam and Zagreb Grand Prix. Livesey is one of three British judoka ranked inside the world top 20 at -63kg and following seventh place finishes at the Tunis and Zagreb Grand Prix she will be looking to back up her seventh place finish at last year’s World Championships. Birmingham judoka Stewart made his return to competition in May at the Hohhot Grand Prix following a long injury lay-off. Stewart, son of 1988 Olympic bronze medallist Dennis, finished fifth at the Zagreb Grand Prix which included a win over WRL 8 Krisztian Toth (HUN). The British fighter’s older brother Elliot is a member of the GB Judo Paralympic programme. Williams and Greenidge will fight in the Team Event on the final day of competition. This will be London 2012 Olympian Williams’ first appearance at a Worlds since 2011 in Paris while 20 year old Greenidge is the youngest member of the GB Judo team selected for Baku. Rio 2016 bronze medallist Sally Conway (-70kg) and 2017 World Championships bronze medallists Nekoda Smythe-Davis (-57kg) and Natalie Powell (-78kg) were among the initial round of selections back in June. Alice Schlesinger (-63kg), Gemma Howell (-70kg), Sarah Adlington (+78kg) and Ashley McKenzie (-60kg) were also part of the first round of selections. “There’s always a buzz whenever the World Championships come around. Last year we enjoyed great success with two bronze medals, our first podium finishes since 2010. “There’s real strength in depth in our women’s team at the moment. The fact that we are filling all nine spaces for female judoka is very exciting. “As is the fact that those nine athletes and our reserve athlete at -63kg (Lubjana Piovesana) have a really strong performance record and are consistently performing at Grand Prix level and higher. The 470 competitors were greeted with an awkward westerly wind, but the river fished extremely well in general with only one dry net. Competitors were able to use a variety of methods with pole, feeder, waggler and the occasional stick float all in evidence across the sections which required a flexible approach to maximise each pegs potential. 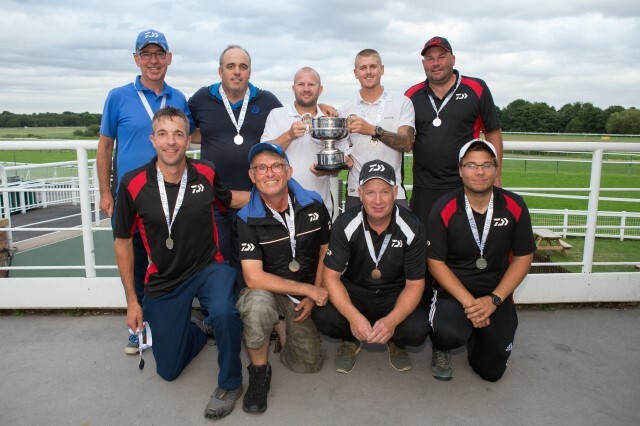 The team event was won by Barnsley & District with a total points score of 387, giving them a comfortable margin over Team Daiwa Dorking who totalled 361 points and third placed Lincoln & District AA with 327 points. Barnsley’s tactics centred around a maggot feeder approach with worm hookbait. 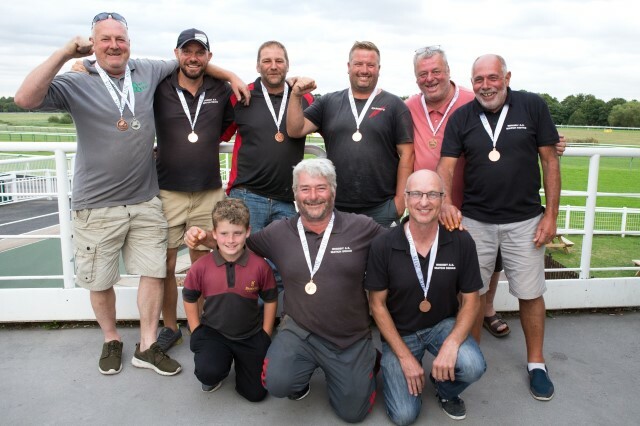 On the Individual front Preston Innovations Thatchers, Ian Paulley is certainly having the continued success in Nationals that all competitors dream of. Having finished third individual in 2016 on the River Trent and winning a section in last year’s Division One national on the Shropshire Union Canal, Ian went even further this year taking the individual title from peg E1 at NPS East Stoke with 45kgs 800grams. The peg had good form in the run up to this year’s event and Ian took full advantage with a catch of 14 barbel to 7lb and 14 chub to 4lb on a hemp and caster feeder. A last cast barbel weighing 6lb secured the title for Ian, a sales manager from Blandform in Dorset who described the peg as ‘every anglers dream’ and only set up two feeder rods to attack his peg, with him only using one. 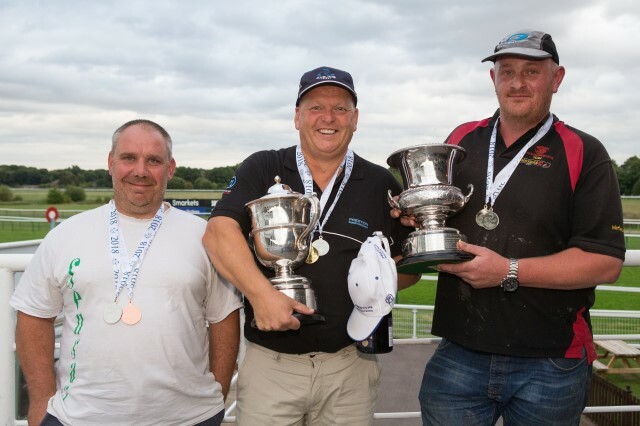 Runner up was Andy Bradley, Mirfield AC from K27 at Rolleston where he caught bream to 5lb throughout the match to narrowly miss out on the title. His 44kgs 200grams was one fish short. It was close for third place too with Darren Taylor of Sensas North from J14 with 43kgs 550 grams. Again, bream made up Darren’s catch from an area which also produced a number of other top ten finishes. Thanks and appreciation must go to Mark Morris, David Kent, Mick Gibbs, Mike Storey and Dave Watkins for all their help on the day, to the host associations Nottingham Federation, Nottingham AA, Nottingham Piscatorial Society and Newark Federation and their volunteers who worked so hard in preparing pegs, access and stewarding on the day. 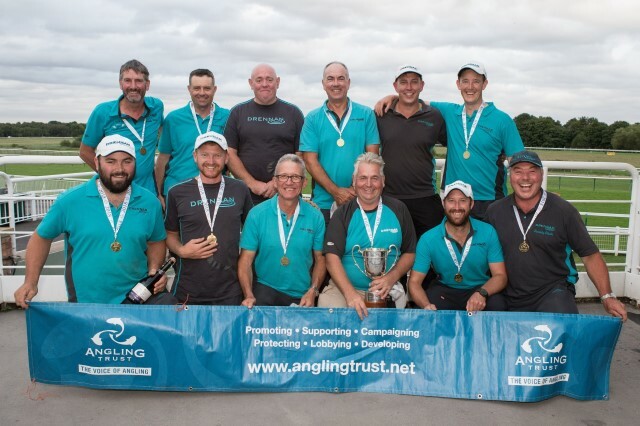 Thanks also to the Angling Trust, the results team and most importantly to all the anglers who came up to fish the match.